I was at a service at an Abbey last Sunday, an unfamiliar venue for me. When I am at a service in an strange place, such as the service in this gaunt but undoubtedly beautiful building, being a visitor I tend to try to adopt the outlook of a visitor. What impression does what goes on in the great venues of English religion give to someone, who, like me on this occasion, joins the service as a one-off? 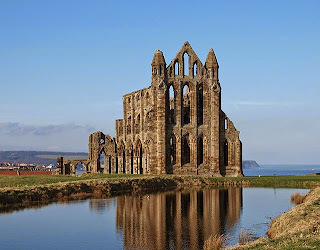 Such venues are these days almost invariably homes to High Anglicanism, and the Abbey provided the congregation with a share of the ceremony and ritual associated with Anglo-Catholicism. The bowings, and crossings, the processions, the physical separation of the clergy from the laity, the smell and vapour of incense, the rich regalia of those officiating. Easy to sneer. These goings-on have exact significances that I would need to be taught, but they are centred on sacramental presence, the idea of a localised presence of Christ. The idea that Christ is nearer the 'altar' than the congregation is, the Holy Spirit is where the incense is, and so on. But to the uninitiated like me these goings-on are largely an expression of ‘religion’ that is pretty strange, and of nothing more. In case one is inclined to look down one's nose at High Anglicanism, I wonder what a stranger would make of the current evangelical equivalent – the band, the informality of the service, and the easy-going bonhomie exuded by the minister. The Abbey service was at least serious throughout. 'A serious house on serious earth' as Larkin puts it in 'Church Going'. In the service there was a short homily. The reading for the day, read earlier in the service, was the Parable of the Virgins. (The words of the Old Testament reading for the day were not read to us, for some reason.) In the address, after a brief nod in the direction of the Parable, it was left behind, like the five foolish virgins. Even though, this being the teaching of the Gospels, of words of the Saviour himself, we stood up to hear it. We stood in the manner prescribed in the Prayer Book. This was not simply Scripture but special Scripture, the Gospels. Yet no mention in the homily of Christ who taught in parables, and whose teaching in them was largely of himself and his kingdom. Christ the heavenly bridegroom. The church the bride. In any case teenage contraception and ‘gay-marriage’ have largely dulled the significance of the parable. So some care is needed in explaining it. The words of the speaker centred on ‘watchfulness’, like the virgins some of whom were watchful and patient and some not. On watchfulness in the nation (against terrorism, I suspect, though the word was not used); on watchfulness in our communities, for the needy, the unloved, the unwashed. And finally, with time running out (ten minutes, if that), the need for watchfulness in ourselves, in our 'own lives’. But why? And what for? I do not recall being told. You see, while the Parable certainly cautions watchfulness, its peculiar, strange significance – watchfulness in waiting for the Bridegroom – was missed. In fact I’d hazard that it was not narrowly missed, but that the theological world of Christ’s teaching was a thousand miles away from this homily spoken in his name. The consequence of being prepared to be watchful was glossed as watchfulness in regard to current social and political concerns. (But at least there was not much effort, in the prayers, devoted to petitioning heaven for the success of the foreign policy of the United Kingdom and the West more generally. I was glad of that, if only because there is no NT precedent for such prayers. We never find the Apostles praying, or urging prayer, for the success of the Roman Emperor’s latest thrusts against the barbarians). In his off-hand remarks on the parable the Christian minister circumvented a whole Christian order of things, even though platitudes were uttered by him that we could all nod in agreement with. And the impression was once more reinforced that in the Christian faith and its preaching there is nothing much to trouble us, much less to ‘offend’ us. It is this lack of an ‘edge’ that is most sad. The difference between being one of Christ’s watchful virgins, and a sleepy virgin. The difference between being the church of Christ and the world, of his kingdom and the passing kingdoms. No edge, no clarity, no urgency. Which left me wondering, where is there edgy, clear, urgent preaching anywhere in England? We are drifting into a state in which, if they think at all about Christianity, the public think that being a Christian is an entitlement like the NHS. Universalism by default. Who will tell them any different? On the basis of this visit, certainly not the ministers of this Abbey. So who? This is a detailed examination of the theological innovations of Kevin Vanhoozer and John Franke. 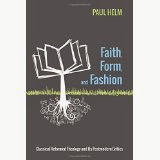 Each proposes that doctrinal and systematic theology should be re-cast in the light of postmodernity. No longer can Christian theology be foundational, or have a stable metaphysical and epistemological framework. Vanhoozer advocates a theo-dramatic reconstruction of Christian doctrine, replacing the timeless propositions of the “purely cerebral theology” of the Reformed tradition in favour of a theology that does justice to the polyphony of multiple biblical genres. Franke holds that theology is part of a three-way conversation between Scripture, tradition, and culture, with an uncertain outcome. This study shows that each of these proposals is based on misunderstanding and exaggeration, and that the case against foundationalism is unclear and unpersuasive. It is argued that Vanhoozer’s appeal to revelation as divine speech-acts is not as radical as he thinks, and his epistemology is weak. In the hands of postmodernity, Christian theology abandons its exactness and the standards of care that are a notable feature of doctrinal constructions. The book will be of importance to those with interest in Reformed theology or Christian theology more generally. 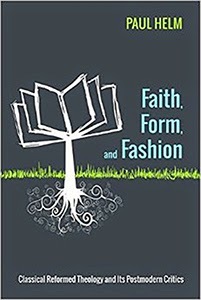 It provides a clear assessment of the impact of the postmodern mind-set on theology. So now we are arrived at William Ames’ attitude to the Christian life. This has been introduced earlier; now we shall look at the emphasis and language in a little more detail. In this post I shall briefly review the outlook from the relevant chapters in the Medulla, and then highlight stark differences with the Westminster ‘tradition’ particularly the Catechisms, less so perhaps in the Confession itself, on the motivating forces in the Christian life and its conflation of the ‘uses’ of the law. I have hazarded the opinion that this is because the Westminster divines as ministers in the coming (but ill-fated) presbyterian state church, saw themselves as bound to uphold ‘public order’ in what they taught from the pulpit and the catechetical stool, as a direct aid to the politicians who had called the Assembly, in maintaining ‘public order’ or ‘law and order’ as it is called. Payback time, it might be said. Ames has two chapters on Christian virtue, one on sanctification in the first part (XXIX) in the doctrinal section of the work, and the chapter on adoption. (XXVIII) It is also worth looking at the other treatment in the ‘practical’ section, i.e. the ethics, in which the treatment of virtue has a prominent place. (This division between doctrinal and practical corresponds to Aristotle’s distinction between the theoretical reason, what we are to believe, and the practical reason, what we ought to do.) This is Ch. II On Virtue and the chapters that follow, on the ‘theological virtues’ of Faith, Hope and Charity, (V-VII) and then on justice and charity and honour to our neighbour, (XVU-XVIII0. As mentioned Ames has no distinct treatment of the law, though he makes a number of incidental references to it. We can only touch on this material in a post. I have downloaded the English translation of the Medulla, The Marrow of Divinity from the resources of Post Reformation Digital Library http://www.prdl.org. For Aristotle virtues were those features which made for the good citizen. They are regarded as a series of means between extremes; So the virtue of courage is midway between recklessness and timidity. Aristotle has no interest in the motives that a person may have for cultivating or exhibiting a virtue, his ‘inner self’, but solely in the good of the polis. In the New Testament the virtues, or gifts or graces or fruit, have to do with the ‘heart’ and the will in a sense to which the Greeks were blind or in which the were disinterested. ‘From the inside out’ in the approach, following the Saviour’s teaching regarding the vine and the branches in John 15, and in Matthew 23, ‘First make the tree good….’; and of course at length in the Sermon on the Mount. The idea of 'virtue' as Ames discusses it is drawn from their treatment in the Apostles Paul and Peter. So when the apostles refer to the graces and gifts and virtues or powers, they have in mind those qualities produced in nuce by the Spirit in his work of regeneration and sanctification. 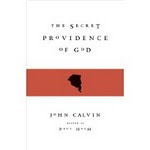 Sanctification is not basically a matter or imitation, or rule following, or of the influence of the environment upon behaviour, but the product of a new inward principle and its growth and manifestation. A new birth, sight to the blind, fruit of the Spirit, are some of the ways in which this is expressed. It follows that the production of virtue in a manner consistent with this ‘from the inside out’ rather than having obligations to keep the law, and being virtuous by imitation, is the characteristic way the NT presents this. Yet it is readily seen that the norms of the virtues that Ames extols are the norms of the moral law. Yet virtues are not duties, nor are the bering of fruit merely a matter of duty. So evidently did William Ames think. So this is part of his ‘theory’ of sanctification, what we are to believe about it. There is nothing odd about this nor of the fuller statement of sanctification in the Medulla. It is standard Reformed monergism. What of the practical side of things? He is concerned to correct the idea that religion is distinct from ethics, to combat that ethics has to do with life in society, with behaving in a civil fashion etc., while religion deals with the ‘inner’ self. He opposes such a division as being unbiblical. Ames goes into some detail in describing and classifying the virtues in this chapter, and then in the following he shows how good works are the fruit of virtue. Ames, a Reformed theologian, has a very similar account of the grace of God in justification and sanctification as do the Westminster some decades later. But if we compare his account of how this grace works in sanctifying, his account without exaggeration is quite different. There is reason to think that the emphasis on virtue and its leading to good works has a different stress from that of the Westminster divines emphasis upon the place of law and duty in the Christian life, (especially in their catechisms). I have ventured the hunch that this is because of the close association between church and state in the outlook in Puritans in England of the 1640’s, and the consequent bringing together of the three ‘uses’ of the law in a kind of mish-mash. There may be another explanation, but the difference is stark, and I know which is the closer to the New Testament.